Your documentation needs to be specific and above all else accurate and targetted. 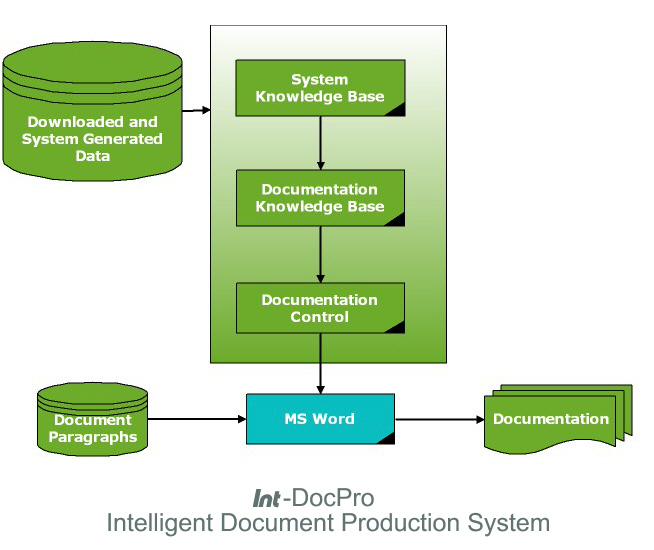 Int-DocPro uses your knowledge to produce instruction files for your word processing package (MS Word etc.). The sophistication needed to produce specifically targeted documentation with specific and calculated details is achieved by the use of the knowledge base tightly coupled to the data from both the original data scources and derived data that another part of the system may produce.